Elsu Item Builds Guide for Arena of Valor (AoV). Each build is geared toward a different play style, so choose one that fits your personal preference. These items are necessary in order to play Elsu optimally. Only diverge from a core item if you are a very experienced player or you have a very good reason for doing so. Muramasa While a very common pick on all physical damage dealers, Muramasa is especially good on Elsu. Its percentage-based armor pierce stacks additively with the armor pierce provided by Sentinel, allowing Elsu to hit a full 100% armor penetration. This will make Elsu effectively deal true damage, allowing for him to rip apart any enemy he comes across. Fenrir’s Tooth Elsu needs attack damage beyond all else, and Fenrir’s Tooth is the best place to get just that. The passive that the item provides will additionally help Elsu deal with low health foes. The additional damage provided by the item’s passive will ensure that they are properly finished off in fights. Omni Arms While more situational in use for Elsu, Omni Arms can be a big help when drawn into a shorter range fight. The rate at which Elsu can spam out his abilities will allow him several uses of Omni Arms’ passive. This will in turn make him a bit more capable at short distances. Blade of Eternity While we could try and stack even more damage at the end of the build, sometimes a bit of life insurance is better. Blade of Eternity will pick Elsu up after two deaths, allowing for a bit more safety in fights. The added damage and armor keeps the item from being too niche and provides a bit of extra oomph in fights. The Beast While not offering any spiffy passive, The Beast can be useful for Elsu. The lifesteal allows him to heal up between attacks by attacking jungle minions. It offers a moderate amount of attack damage as well, making it a nice item for buffing up Snipe. 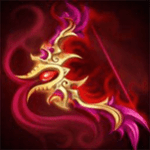 Bow of Slaughter Elsu’s passive causes Bow of Slaughter and Claves Sancti to grant a whopping 150 attack damage. While Bow of Slaughter is more expensive than Claves Sancti, players will get the added benefit of the active effect in close quarters and some additional life steal. Flashy Boots Elsu relies more on his abilities than normal attacks. Being able to use these abilities more frequently is a huge boon for him as a result, making Flashy Boots a nice choice. War Boots Elsu’s passive slows down his normal attacks. War Boots can help alleviate this, allowing the sniper a bit more use in close range fights. Gilded Greaves Elsu is incredibly vulnerable once enemies manage to get close. As such, he is almost guaranteed to die if successfully slowed or stunned. Gilded Greaves will take some of the edge off of control effects and give the marksman a better shot at life. Here we focus primarily on damage, amping up the damage that he will unleash with Snipe. We hit up Muramasa and Fenrir’s Tooth first, this approach nearly required for most of his build. Omni Arms and Bow of Slaughter will allow Elsu to top up his health between engagements. These also act as nice bits of sustain if enemies get up close to fight. Blade of Eternity is the last line of defense, giving Elsu some additional safety as the game goes late. This build takes away a bit of attack strength to give Elsu some additional potential when in closer range. This takes some of the stress off of his positioning. Elsu will be able to better deal with enemies should they manage to get close, though still will struggle in otherwise even duels. The Beast and Fafnir’s Talon provide a generous amount of life steal, allowing him some additional sustain when trading. This will additionally make the riskier death denial Death Sickle provides much safer. Fafnir’s Talon also helps Elsu with his abysmal attack speed. A true gentleman shows his refinement by only sniping enemies. When doing so, you don’t need to bother yourself with trivial things like passives. Just stack up attack damage like a man possessed and blow punks away. Sure, you won’t be able to do things like “fight up close” or “contribute much in team fights,” but you will know better. Whenever those sniper shots hit, the target will be devastated. Soulreaver provides amping AD and much-needed cdr. Flashy Boots offers well cdr. Muramasa provides AD, the last 10% car to hit the 40% sweet spot, and 45% armor pierce which even built into elsu’s kit always helps out. Now Devil’s Handshake is an item I personally just wanted to play with giving elsu a massive chunk of attack sped and some movement speed the 20% crit translates to 60 AD if it truly is a 1-3 ratio. Fenrir’s Tooth is well a great item on many AD heroes providing a huge AD advantage and a 30% damage increase via its passive. Finally Bow of Slaughter… This item I wanted as much as Devil’s Handshake in my build due to the 90 AD and again 20% crit so 40% just in items so 120 AD 10% Lifesteal and a massive 90% life steal when active. 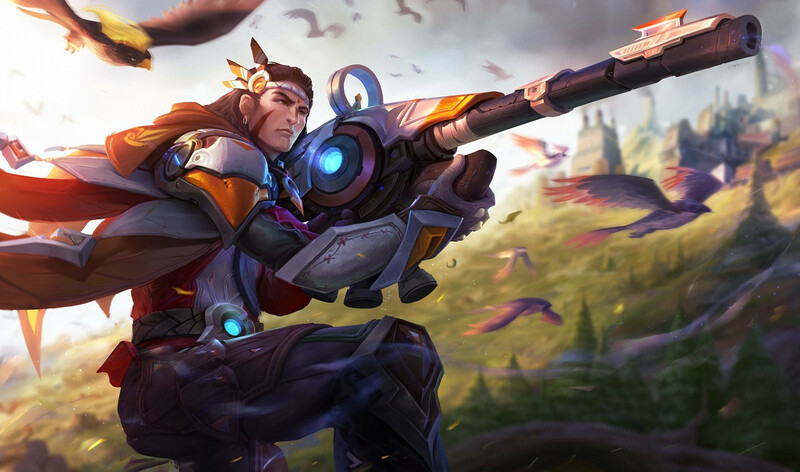 This build has elsu using his snipe ability often with plenty of power to severely damage any opponent so he’s never in any real danger but if he gets into it his lifesteal and strong autos should be enough to sustain himself long enough to kill his opponent. Now as I’ve mentioned before I’m not an optimal builder by any means if you can put the build together in a better manner than feel free any suggestions are always welcome and enjoy using elsu in the jungle. The recent AIC has shown that Elsu can be a powerful jungler. Despite its low synergy with marksmen, Soulreaver is the only real choice when it comes to jungle items here. The rest of the build is fairly standard, amping up the sniper’s attack power for lethal snipes and auto attacks. I think Devil’s Handshake should be on this list. Elsu takes a bit longer than others to trigger the passive, but once he gets he can shred. I often find myself taking it late game instead of Blade of Eternity depending on how the match is going. Lets me destroy minions, eat towers, kill dragons, and in general split push very effectively. Speaking of Blade of Eternity, that always on 10% bonus damage is really nice with Elsu. I agree. Elsu late game with free hits is a beast. I personally build, War Boots> Rank breaker> Omni Arms> Muramasa> Fenrir’s tooth. Oops I missed the the Hand shake so it’s basically War Boots> Rank breaker> Omni Arms> Devil’s Hand shake> Muramasa> Fenrir’s tooth. I prefer to go for a more all round build, Flashy Boots, Muramasa, Fenrir’s Tooth, Devil’s Handshake, Bow of Slaughter and Blade of Eternity. Then getting rid of Flashy Boots for Death Sickle or if they have a good assassin I will get this item earlier. Also pick up Rankbreaker in certain match-ups. Whats max damage build for elsu? Whats max damage level 30 arcana for elsu? Uriel’s Brand is a good choice on Elsu, as, like Joker, he tends to go to midlane, and as a result could use the magic defense. You really should just take an early Muramasa instead of bothering with Rankbreaker on Elsu. While Rankbreaker has a marginal bit of advantage before Sentinel is leveled up, you waste too much gold for the small advantage. so since elsu’s passive was converting the Critical into Physical Damage why dont you guys go for a critical build ? Most critical items have passives that rely on critically striking, making them ineffective on Elsu. how about Devil’s Handshake ? tried putting Slikk’s Sting on my trial builds. gave 75 AD instead of 25% crit, which I think is decent enough. 35% atkspeed +7% movespeed seems helpful on my playstyle as he is very slow. Here is my build. Warboots, Slikk’s, Rankbreaker, The Beast, Muramasa, Fenrir for final item. What do you think. Thank you for the input. Glad I asked here.